Do you have certain items in your wardrobe that remind you of the day you bought it? 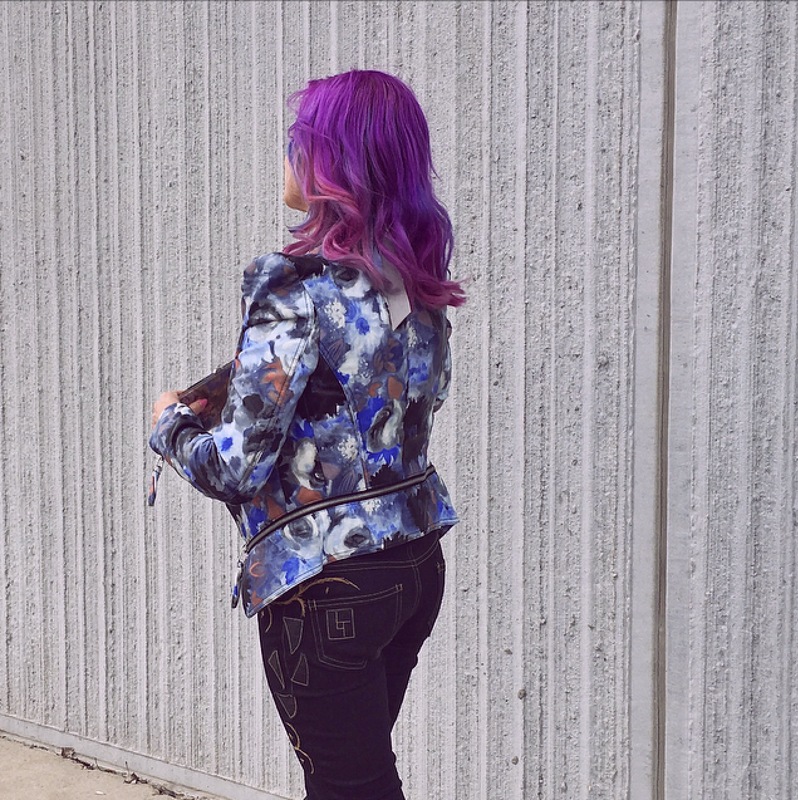 This vivid TOV jacket with pointy shoulders and aaaallll the details (which happens to be great in the rain) will always make me think of that day in LA when I asked my friend I was visiting to find me some small, independently owned boutiques to shop at. Because, although Rodeo Drive had to be seen, the reality was I wasn’t actually buying anything there and I was craving my favourite kind of shopping experience. I was the one who spotted it from the moving car, “HERE! Let’s look in here!” “Monique, I have no idea what this place will be like!” She said. Every city has those hidden gems. The stores that are only known to locals, frequented by those who live in the neighbourhood. The shops where the person finding your size is likely the owner. Where the person serving you has invested so much of themselves into their passion, into their love of fashion, into the success of their little store that you can feel those emotions in your interactions. 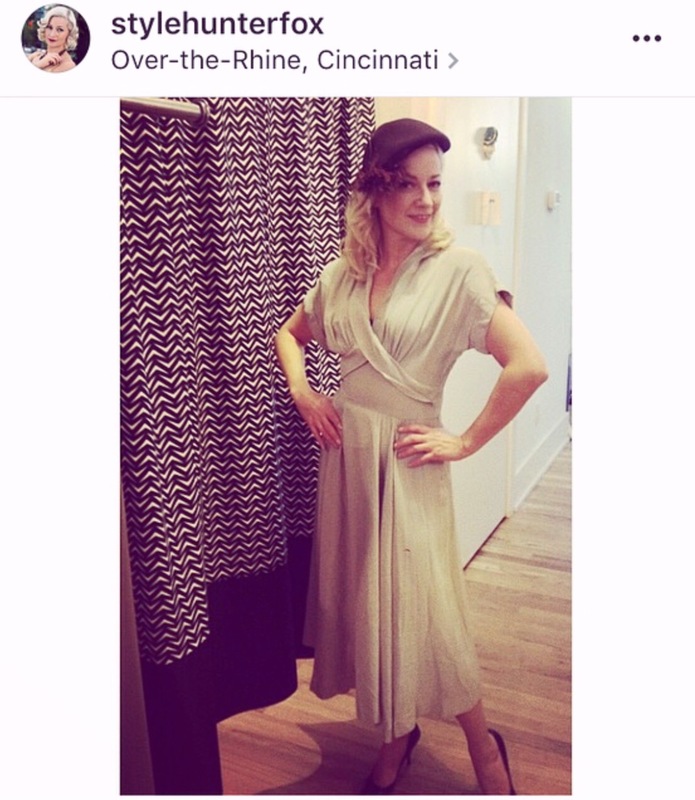 I stumbled upon Mannequin Boutique @mannequin_otr after having lunch while visiting my sister in Cincinnati. Random vintage shops get me so excited! I wore this beauty in a photo shoot with burlesque dancer, Angela Lamuse. Shopping at My Sister’s Closet @msc_bwss was the result of an airport google search for “consignment Vancouver”. This amazing shop with a lot of heart supports battered women’s services. I love it when fashion and philanthropy collide! Being a few blocks from my airbnb, I dropped my suitcase and headed right over. 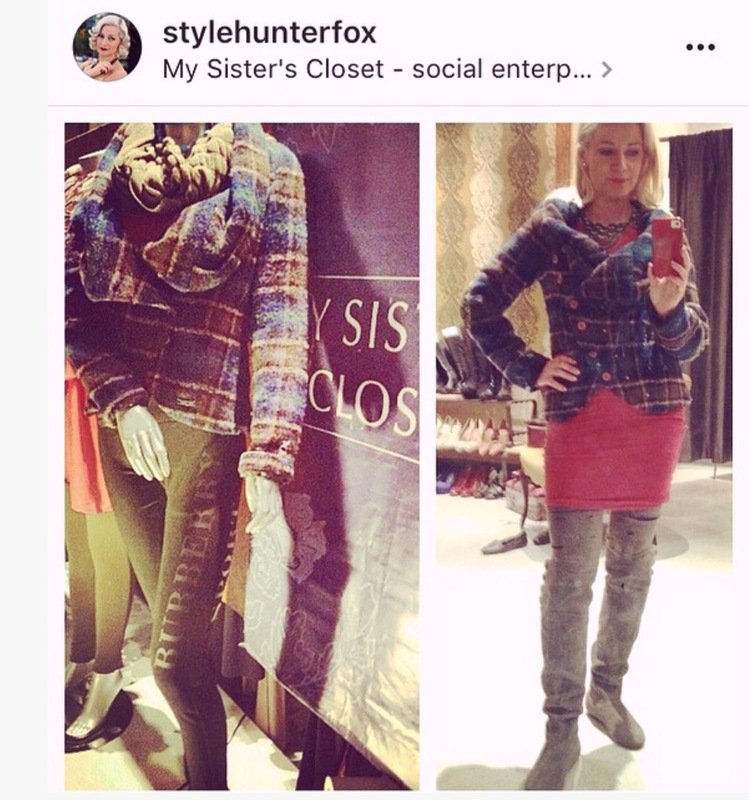 This super unique Desigual jackets crops up a lot on my IG feed! 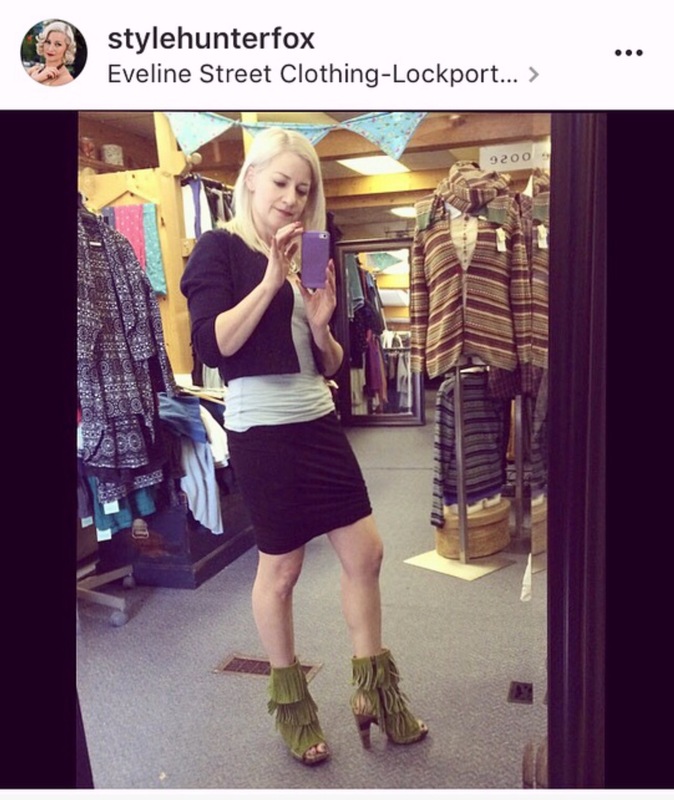 Closer to home, a drive out to Lockport, Manitoba meant an introduction to Eveline Street Clothing and its charismatic owner, Huda. Therin lives the largest collection of Fleuvogs I have ever seen, including these crazy fringed booties that clearly made a new home. Back in Winnipeg I have the same heart warming, small boutique experiences. 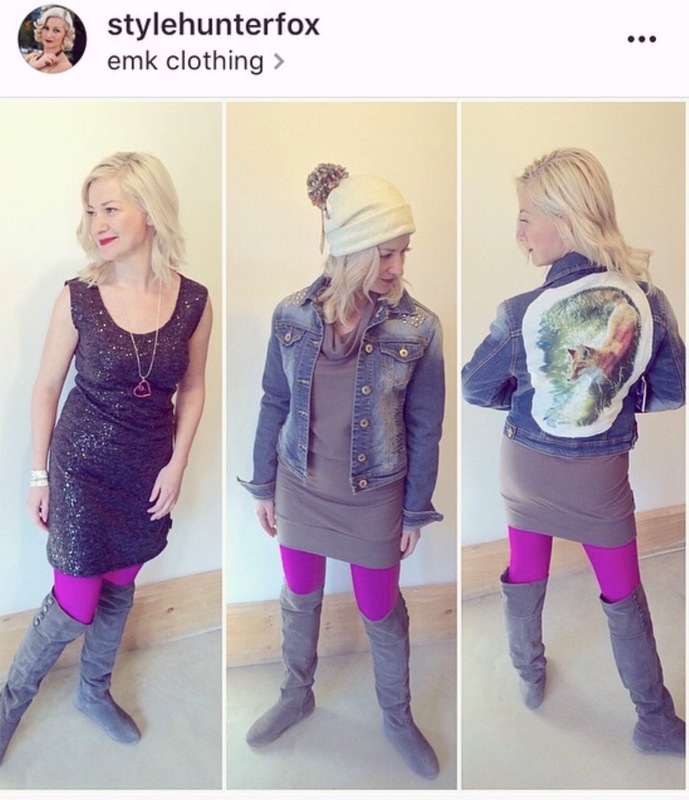 I enjoyed discovering bright and cheery emk clothing @emkclothing two years ago on Sherbrooke St and you know I’ve been back many times since. 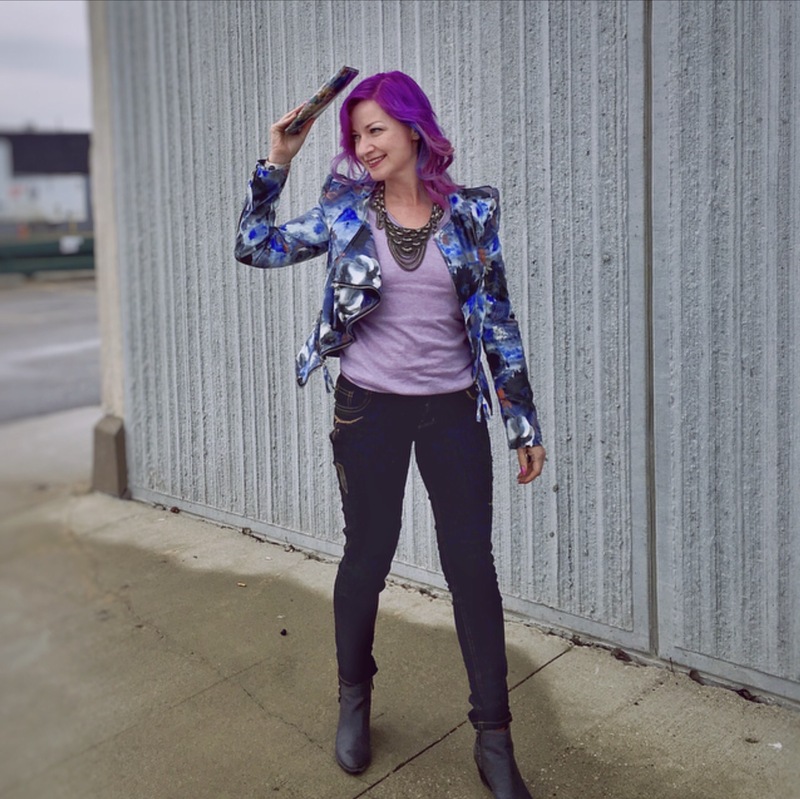 It’s so great to find clothing made in your own city! 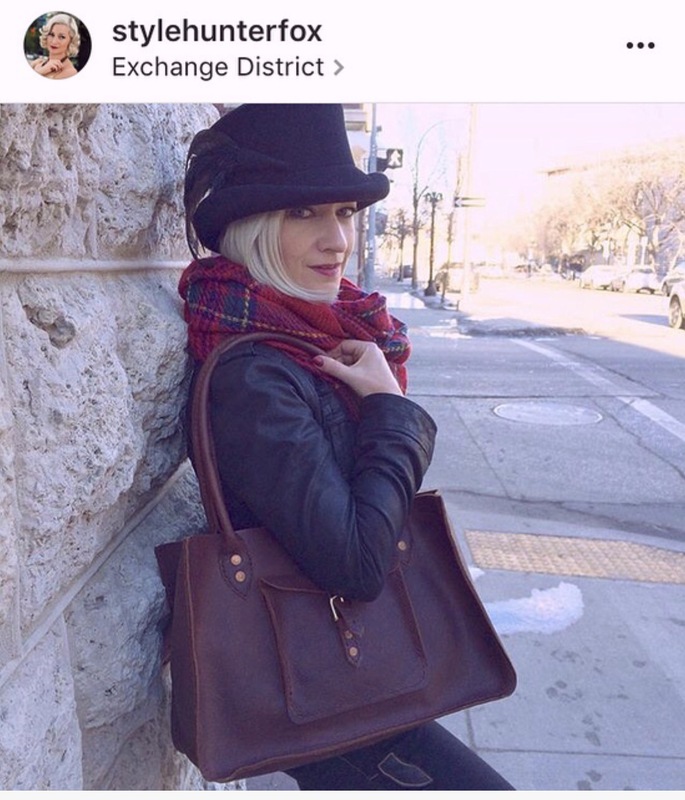 That’s also the day I took home my Prairie Chic @prairie_chic fox jacket! The Haberdashery @thehaberdashery has to be the best hat store I’ve ever been to, anywhere! If you’re not into hats there are accessories galore. 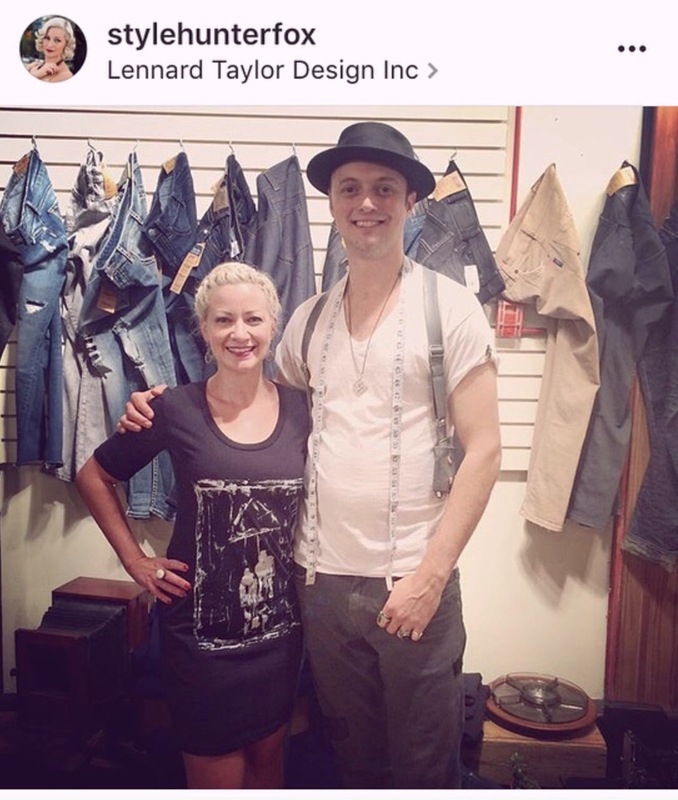 But I dare you to allow Luke, the charming owner, to find the perfect hat for you, because he has it! This one came out of the box and straight onto my head where it clearly belongs! LT! Not my first visit to Lennard Taylor and certainly not my last! It’s a tie over whether this painted dress or my custom jeans from him get more wear. I am wearing them in those top photos! A trip to the exchange is not complete without a quick pop in to see this friendly mug. You will want to follow @lennardtaylor on Instagram, not only for the fashion but for his positive vibes. If you find shopping for clothing arduous or uninspiring then you need to seek out small boutiques like these. This is where you will get the great service you’re looking for from people who get excited when you decide to take home one of their treasures. This is how you know where your hard earned dollars are going.